Engraving machine "Gefest Graver" EMT 500х600. 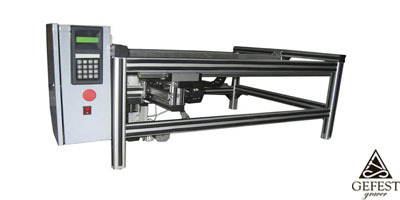 Specifications of machine EMT 500x600.The demand for it is mostly among first-time entrepreneurs, artists and copyists "handmakers" because of thenot high price, dimensions, and weight of the machine. In terms of functionality, almost none is inferior to its big brothers. Specifications of machine EMT 600x1000.It’s the best selling model value for money. The main difference between the machines EMT& EMF that due to the structural frame type. "Tablet" type can be set as in the legs of the machine as on the workpiece itself by the operator. It is globally expanding its capabilities. Specifications of machine EMT 600x1300. It’s mainly used in larger shops. 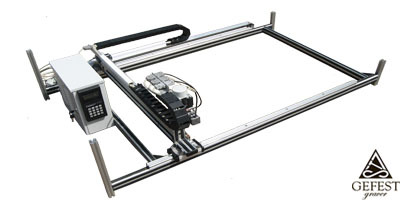 The main difference between the machines EMT & EMF that due to the structural frame type. "Tablet" type can be set as in the legs of the machine as on the workpiece itself by the operator. It is globally expanding its capabilities. Specifications of machine EMF 600x1200. It is mainly used in large shops. 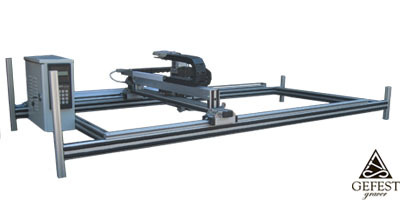 Machine Series EMF - is synonymous with precision and reliability. Their main distinguishing features are the frame design,stability and durability.